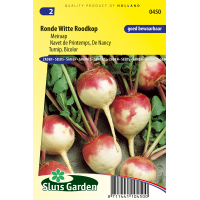 White fleshed turnips with a red top. Can be eaten both raw and stewed. Do not allow the tubers to grow too large otherwise they dry out. Best to harvest when they reach approx. 6 cm. Sow thinly in rows and thin out in the rows. Fertilize the soil very little or not at all. Suitable for all types of soil. 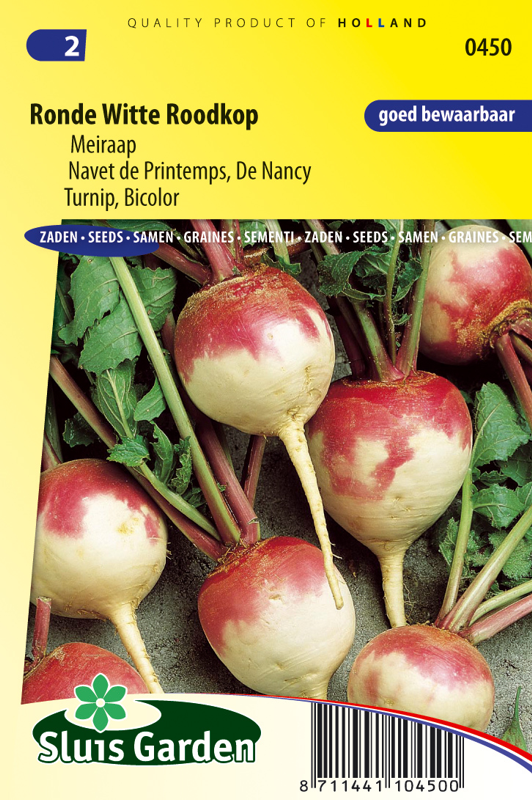 This variety is tasty and can be harvested very early (hence the name May turnip).